As Richard Scudamore prepares to ride off into the sunset after changing the financial face of football thanks to tv revenue, ANTON RIPPON looks back at how the sport started to cash in. WHAT a difference 35 years makes. Of course it does, it’s half a lifetime ago. But I am still marvelling at how the state of football had changed since 1983, a thought refreshed by the news that Richard Scudamore, the retiring executive chairman of the Premier League, is in line for a £5 million handshake. I am trying to imagine how that came about. I assume that there was a meeting at which someone suggested a lawnmower, or a set of golf clubs, or a nice carriage clock, suitably inscribed of course, and then someone said: “I know. Let’s give him five million quid.” And no one demurred. 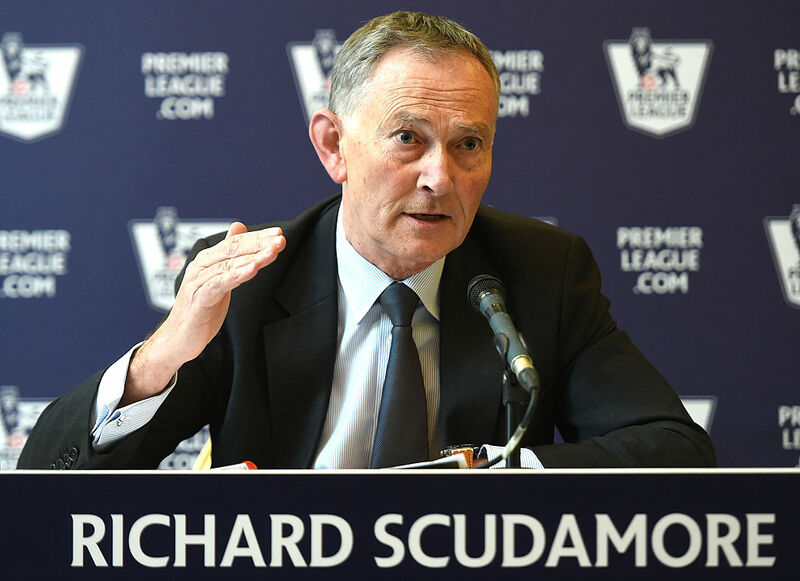 After all, Scudamore has helped to deliver to the Premier League untold wealth in the form of tens of millions of pounds of television money. 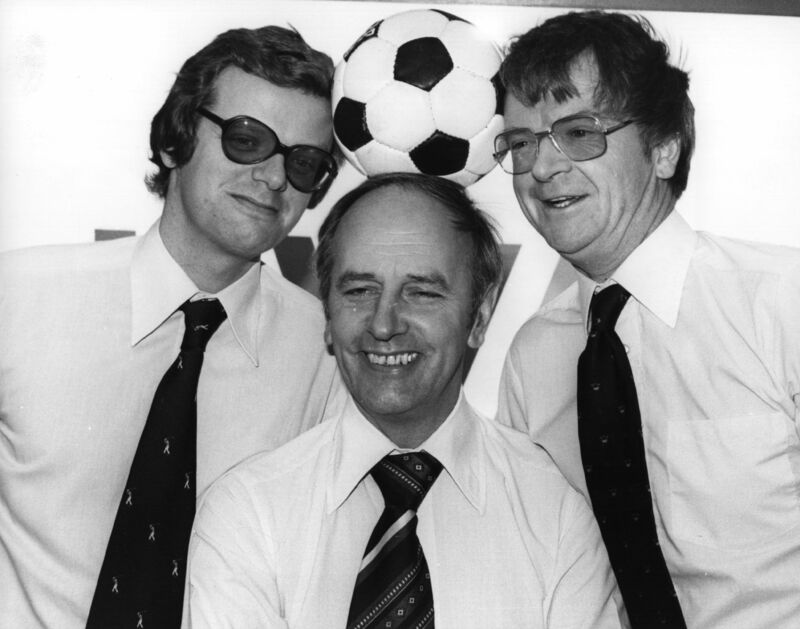 So my mind went back to May 1983, when ITV’s head of sport, John Bromley, told the Daily Mail that the Football League’s four-man television negotiating team were “a bunch of amateurs”. That year television had offered a “final deal” of a £5.3 million package for the rights to screen live matches over a period of two years, a package that would also openly recognise the name of a sponsor who was prepared to give the Football League £3 million if agreement could be reached on a limited amount of shirt advertising, something which had hitherto proved an insurmountable hurdle. No one had thought of shirt sponsorship when television cameras were at the 1938 FA Cup Final. A crowd of 93,357 people were at the Empire Stadium to watch Preston North End beat Huddersfield Town; less than one-tenth of that number watched the action in black and white on small television screens. After the war, the FA allowed other cup matches to be shown live, starting with the 1947 fifth-round tie between Charlton Athletic and Blackburn Rovers. Eventually international matches, and European games, floodlit friendlies and then competitive matches, became a fairly regular feature of television. The Football League, however, was much more reticent, fearing that televised football would affect attendances. When the Independent Television Authority was founded in 1955, the new companies quickly saw the potential in soccer, although it would be another five years before the League could be persuaded to allow live screenings. In 1960 agreement was reached to show a number of live games on Friday evenings. The first was a First Division match between Blackpool and Bolton Wanderers in September that year, but the crowd was just over 17,000 as opposed to almost 25,000 for Blackpool’s previous home game, against Everton, and the game itself was dreadful. Several clubs then refused to take part and the deal was cancelled. Eventually, of course, we had Match of the Day, the highlights show screened first on BBC 2 in August 1964 and then moved to BBC 1. ITV joined in with a Sunday afternoon highlights package, and throughout the 1970s the television football industry mushroomed until in 1983 the most recent agreement between the Football League and the television companies – who had paid £10 million over the previous four seasons, working out at £25,000 per club per season – expired and a new deal had to be worked out. Now there were the first mutterings of a “super league”. After all, television did not pay to screen Crewe Alexandra and Hereford United. So if the Liverpools, Manchester Uniteds, Arsenals and so on were the main attraction, why should they not keep the money for themselves? But an agreement had to be reached. After a few weeks’ silence from both sides, it was announce that all but six of the League’s 92 clubs had approved the experimental live screening of ten First Division games from October 1983 in return for £5.2 million for a two-year contract. Shirt advertising was permitted to a maximum of 16 square inches with no letter higher than two inches. Those last few weeks of the 1982-83 season were certainly desperate times for many Football League clubs. Chesterfield, already relegated, were fearful that debts of more than £400,000 would engulf them. Wigan Athletic, the League’s newest members, were £300,000 in debt and faced liquidation. Hartlepool United were given a temporary stay of execution only when a £52,000 tax demand against them was adjourned. Cardiff City’s promotion to the Second Division saw only a modest amount of champagne uncorked because the Welsh club was £1.5 million in debt. Lincoln City owed money to just about everyone and it was touch and go whether the Imps would be liquidated. It wasn’t just the lower league clubs that were feeling the chill wind of poverty. Derby County were a few months away from the crisis that almost saw the Rams go out of business before a new board won them time in the High Court and Robert Maxwell took over. Wolves had been only minutes away from extinction that summer before being saved by a consortium engineered by former players. Middlesbrough and Charlton Athletic were also heading for the rocks. Even Chelsea had twice been on the brink of disappearing under a mountain of unpaid bills. Of course, it turned out all right in the end, to the point where we are today. The English Football League has just agreed a controversial new television rights deal with Sky Sports, worth £595 million, a deal that runs from the start of next season until May 2024, and is a 35 per cent increase on the previous contract. Yet a number of the Championship’s larger clubs – Aston Villa, Derby County and Leeds United among them – feel that this still undervalues how much the rights are worth. Even the bottom Premier League club is guaranteed £100 million. NCTJ publish list of trusted journalists but where are the red tops?